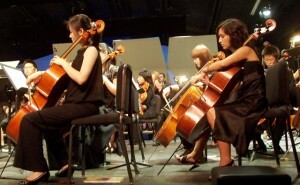 Students from the Idyllwild Arts Orchestra will take a dramatic shift from their classical music repertoire to New Music for their next concerts on April 28-29. Some of them like New Music because it’s so different, while others don’t like it as much. “We don’t just listen to songs written by dead people,” chided Peter Askim, music director and composer-in-residence at Idyllwild Arts (see New Music post on Idyllwild Me dated May 7, 2010). He’s used to their resistance. “When I told Peter that I didn’t like New Music, he said that it was because I didn’t understand it,” said Rong, a cello player. Mostly because there’s no CDs they can listen to, and it’s not posted on You Tube. Rong said that this next concert is particularly hard for the three percussionists. 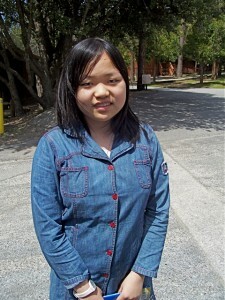 Dixin, a violin player, agreed. For the New Music concerts each year, Peter also helps promote the new works by emerging and established composers. Richard Thompson, voted among the Top 20 best guitarists by Rolling Stone magazine, will be performing “Interviews with Ghosts” on his guitar. Also Chen Yi will be performing “Tone Poem,” a piece commissioned by the student orchestra and the Richard P. Wilson Fund for New Music. Three composers from So Orchestra will be performing individual works, including “Oblique Music” by Jason Tretuing, “Credo in US” by John Cage and “Music for Pieces of Wood,” by Steve Reich. Andrew Leeson, a staff member in Creative Writing, has called Peter “The Master of the Dramatic Pause.” (See “Askim’s New Music Revealed” on Idyllwild Me posted Nov. 11, 2011). Jo, another bass player, said that the New Music they’re performing with Richard Thompson sound more like Rock n’ Roll. “He was knighted, you know,” she said. Many in Idyllwild may remember Thompson’s “Cabaret of Souls” that was performed with the Idyllwild Arts Orchestra last year. The New Music concerts will be held on Saturday, April 28 at the IAF Theatre on campus and on Sunday, April 29, at 4 p.m. in The Barnsdall Gallery Theatre in Hollywood. The Idyllwild concert is free and open to the public, while the LA concert is a fundraiser and Pre-sale tickets range from $1o to $20, and a little more on the show day. 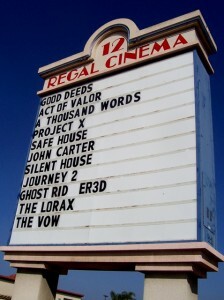 For tickets, visit www.bgttix.com or call (323) 644-6272. For Pre-Sale tickets and more details on the New Music concert, visit www.idyllwildarts.org. There are several videos of Richard Thompson singing and playing his guitar, including one from 1952. 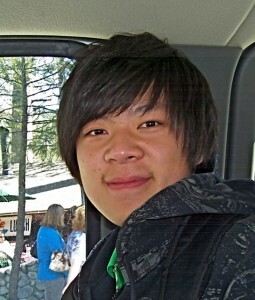 Copyright 2012 Idyllwild Me. All rights reserved. In 2005, Doug Shelby, owner of Shelby Auto Glass in Hemet, got a call from one of the film students at Idyllwild Arts. The teenager was thinking of putting a car crash in his short film, and he wanted to know about breaking windshield glass. Doug doesn’t remember who it was, but likely it could have been Alexis Echavarria, who won the “Audience Choice Award” for “18 Minutes,” a short film about the last 18 minutes of sunlight on earth. The 16-year-old student died before the screening at ShortFest 2009 in Palm Springs, but a student award has been set up in his name. In one of the scenes in “18 Minutes,” a young couple pauses on the street for a moment to kiss, while another car hits them head on. The teenage girl goes through the windshield, while the teenage boy survives. A dramatic scene ensues, showing the boy picking her up and cradling her in his arms, just moments before the world ends. Doug explained that most car windshields are made of two panes of glass with a thin layer of plastic in between. That combination of glass and plastic is super strong, and makes it hard for anything to go through it, especially a person. “You would have to be traveling about 90 mph straight into a brick wall to go through the windshield,” Doug said. But teenage filmmakers are not the only ones who don’t get the windshield thing right. 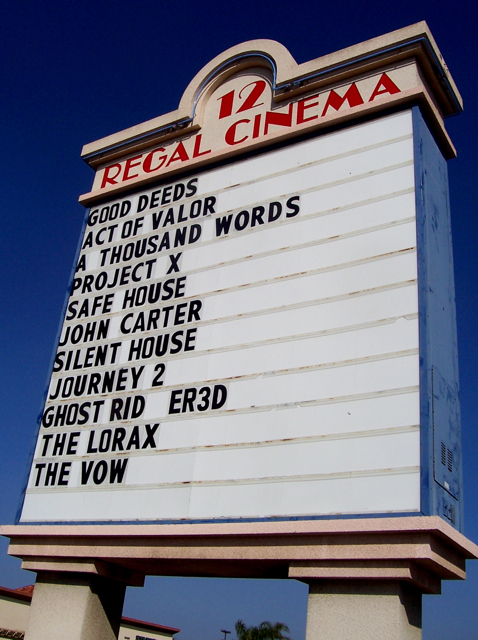 A few weeks ago, Doug and his wife, Debi, went to see “The Vow,” a true love story about a married couple who get into a car crash. It’s the same premise. The two park momentarily at a stop sign to kiss, and then are rear-ended by a 14-wheeler. The woman, played by Rachael McAdams, goes through the windshield and survives, but gets amnesia. “I leaned over and said to my wife, ‘That would never happen,'” Doug said. Too bad director Michael Sucsy didn’t have Doug on the set to advise them about the realities of windshield glass. Shelby Glass is located at the bottom of the hill in Valle Vista/Hemet. Doug’s son works in their mobile unit that services Idyllwild businesses, including Idyllwild Arts. Shelby’s free mobile service covers Idyllwild, Beaumont, Banning, Hemet, and San Jacinto, among other cities. 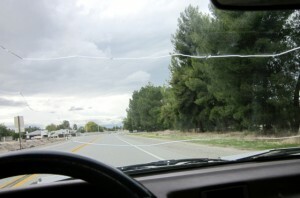 For more information on Shelby Glass, contact (888) 298-7125, (951) 927-9810 or visit shelbyautoglass.com. The shop is located at 45457 Hwy. 74 in Hemet. And to view Alexis Echavarria’s ’18 Minutes,’ visit www.alexisechavarria.com. (Video takes some time to download, so please be patient). Always fashionable, Bella, a senior Visual Artist at Idyllwild Arts, was looking a little tired. Which is rare for students on their 2-week Spring Break. There was no time for Bella to go shopping or sight-see. In fact, she never left Idyllwild. “My senior show is coming up, and I must be ready,” she said. 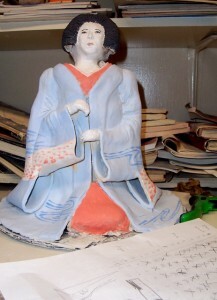 Bella, who has already been accepted to a fashion college in England, is focusing her small ceramic sculptures on the societal role of the Japanese geisha. Some are kneeling in kimonos, and are headless. Only one is standing tall. The prettiest geisha isn't always the top geisha, Bella said. Bella has studied geishas a bit. She said most people know about geishas from the popular American movie, “Memoirs of a Geisha” (2005). Geishas are traditional female Japanese entertainers, whose various skills include singing, dancing and performing classical music. As portrayed in the movie, geishas could also be quite theatrical and egomaniacs. According to various web sites, there was a significant decline in geishas during WWII because many women had to work in factories, and most of the teahouses and bars shut down. Geishas start out as apprentices or maiko, and learn their craft from established geishas. “The most beautiful geisha isn’t necessarily the most high-ranking geisha,” explained Bella. 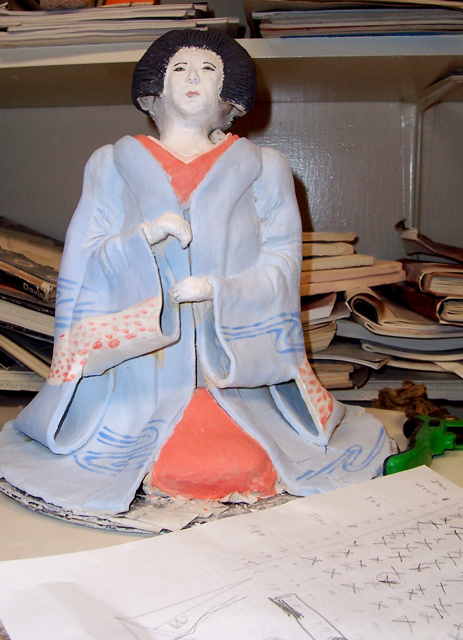 She pointed to her standing geisha sculpture, that hadn’t even been painted yet. Beautiful, educated, and cultured, geishas inhabit another reality. Bella said that she identified with geishas a bit, but didn’t elaborate. She also didn’t want her picture taken because she wasn’t wearing any makeup. Yet, this is the same girl who sported a neon pink wig to her junior show. Will she be wearing a full kimono on April 20? 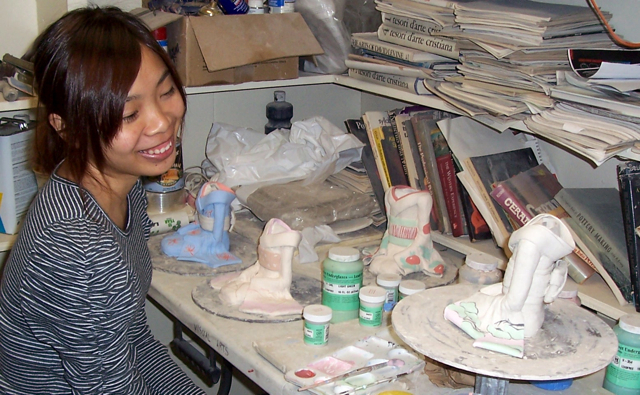 Regardless, Bella’s six ceramic geishas will be on display during Senior Show II, at 6 p.m. on Friday, April 20 at the Parks Exhibition Center on campus. Like all Idyllwild Arts events, it is free and open to the public. However, don’t miss the Senior Show I this Friday, April 6 at 6 p.m.! For more information, call the Parks Exhibition Center at (951) 659-2171, ext. 2251. 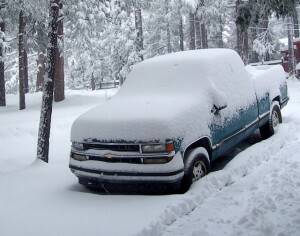 Copyright 2012 Idyllwild Me. All right reserved.